From what I’ve heard, being vegan is a concept that isn’t meaningfully present in the collective consciousness of the Filipinos. It is still difficult to be vegan and vegetarian in the Philippines, let alone travel as one. It’s a shame as it is a place which has been on my wishlist for a long time. But as a savvy traveler in Southeast Asia, I don’t intend to erase this country from my wishlist. In this post, I’ll present my investigation on traveling the Philippines for vegans. In Manila, the Capital and the gateway for most tourist to the rest of the country, the situation isn’t that bad, and with proper research, you will find quite a few vegan/friendly restaurants. Your challenge will start the moment you’ll set your foot out of the city. That’s why I will try to give you a general guide on how to get by in places other than Manila, including a few day trips. People who visited the Philippines told me that everyone speaks and understand English, but cultural nuances can make it a little confusing. A lot of people share stories of times they ordered a veg dish, sometimes with poetic names like “4 seasons vegetables” just to find out that it has pork in it. Most people in the Philippines think of vegetarian or vegan food as dishes that are mostly composed of vegetable, and not food without animal products in it. • Fish sauce (patis) is present in many dishes without specifically being on the menu. • Same goes to Magic Sarap, a local savory sauce. • Oyster sauce – Not used frequently but better safe than sorry. • Mayonnaise – there is a special affection in the Philippines mayo in unexpected dishes. • Shrimp paste (bagoong) – popular in vegetable dishes. A good travel agency in the Philippines will know how to take care of you. The resorts recommended for you will include vegan-friendly options (especially if you’ll ask for eco-hotels and eco-resorts). They will also find out and give you relevant information about restaurants in your future destinations you’re headed to and will make sure you’re treated right by your hotels and airlines. Even when on the islands far away from everything, most odd that there will be a western restaurant. Western food is very popular in the Philippines, and it is also very popular for foreigners to open restaurants in remote places. You will often find that the owner is present most of the nights, and even if not they will be familiar with veganism and will probably have vegan options on the menu. For vegan Filipino food, you’ll have to work harder. Just ask for the veg dishes and specifically ask them to omit everything I described above. In Manila there are some options though, so it will be a good chance (and probably the only one) to enjoy Filipino style vegan food. 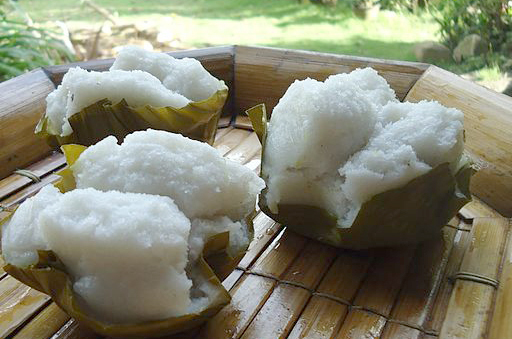 • Puto: Steamed colorful rice cakes, savory-sweet in taste and make a great snack with coffee, tea or alone. Some people add milk to the batter, so it’s better to verify first. • Ginantaang Bilo-bilo: Tapioca, glutinous rice ball, taro, bananas, Ube, in coconut milk. • Dirt ice cream: Most of the times this ice cream is actually sorbet, with no eggs or dairy. There are unique flavors like Ube (purple sweet potato) and avocado. Just verify that it is indeed vegan. • Taho: Hot silken tofu, with tapioca and sweet syrup. • Banana Q: Deep fried bananas with caramelized brown sugar. 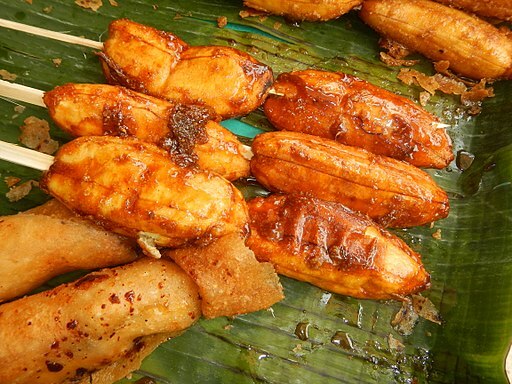 • Turon: Essentially the same as Banana Q but wrapped in a spring roll wrapper with some jackfruit. • Lots of fresh fruits! 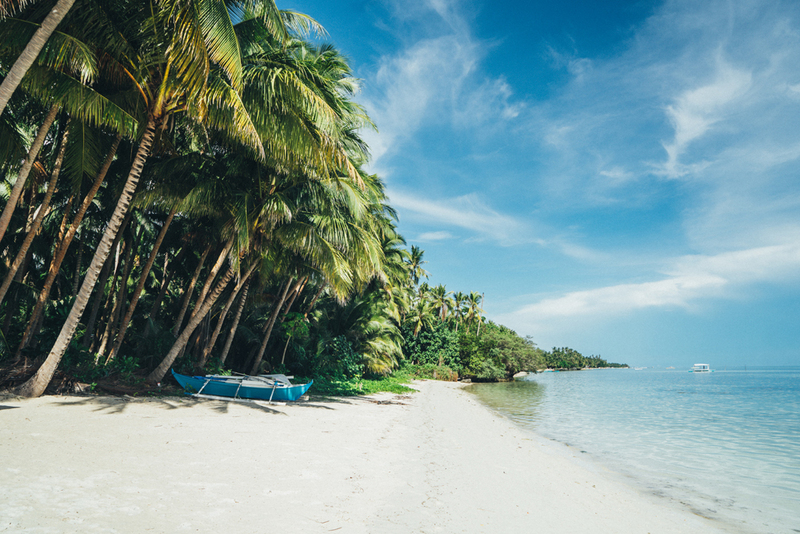 Did you get to travel to the Philippines? Tell me more in the comment section below, about what you found easy and what you found difficult, and some vegan travel tips of your own. 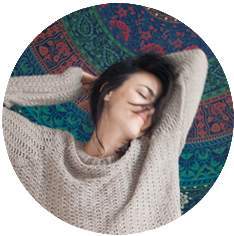 This entry was posted in Sponsored Post on September 19, 2018 by Amélie.